In the mean time, please also feel free to continue posting your thoughts on Maximum Garuda and any tests you might conduct in the Maximum Garuda Testing/Discussion thread! 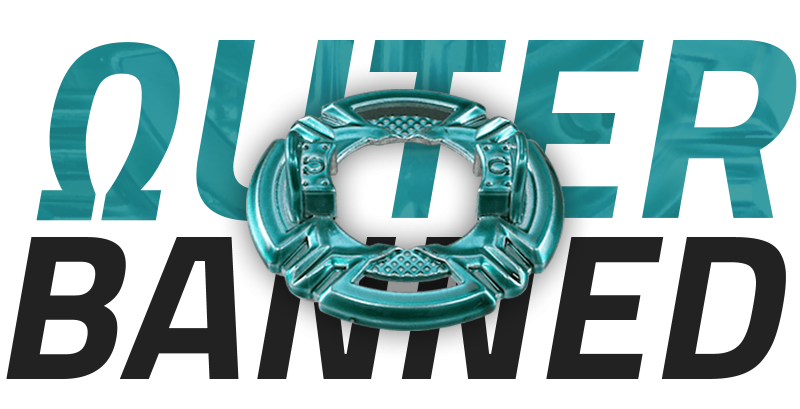 Until further notice, the Ωuter Disk is now banned from all WBO Organized Play events. We will re-evaluate this ban when Ωuter becomes more easily obtainable. In addition to dominating G2 and G3 tournaments in Japan, the Ωuter Disk has been proven to be a dominating force in the few WBO events it has been present at; it is undeniably the best Disk for Stamina in the game currently. However, because it is only available through Ωrichalcum Ωuter Ωcta in the RARE BEY GET BATTLE on the TAKARA-TOMY Beyblade Burst website/app, and because it has been proven to be much more difficult to win than αmaterios or βaldur, we have decided that for the sake of fairness to all players that the Disk will be banned until it becomes more readily available. Parts which require disassembly to change their mode–like Alter Chronos or Legend Spriggan–may now be changed once per match at any time. This means that for example, you can change Legend Spriggan from left- to right-spin once per match. If two players wish to change modes at the same time, they must turn around and do so in secret before continuing the match. We welcome feedback on this rule change once you've had a chance to try it in a WBO Organized Play event and will be evaluating how effective or fair it is moving forward. Our hope however is that it will make Attack types like Legend Spriggan slightly more viable, which is important for Burst Format. This change currently only applies to Burst Format. We have clarified that the use of a God Chip in all Layers that accept them is mandatory. We have clarified that the repetition of regular God Chips in your Deck is permitted. Metal God Chips may not be repeated. Burst Finishes that occur without any contact with the opposing Beyblade are now worth 1 Point instead of 2. If a player does not own a part that they are using in a tournament battle and are borrowing it from someone else, it must be announced who they are borrowing from during the Beyblade Selection phase before the match begins regardless of when the part was borrowed. Judges: When the Beyblade Selection phase begins, ask each player if they are borrowing parts or receiving help from another person. If one or both players are, you must inform them who is helping or lending parts to their opponent. Players: If you are borrowing part(s) or receiving advice from someone, you must tell the judge who the person is when he or she asks you. Parts borrowed at any point during the event for future use must be announced as well. The exact part(s) do not need to be announced, just the person they are being borrowed from. This update has been made to further clarify the new rule from our August 2017 update regarding receiving help before a match begins. 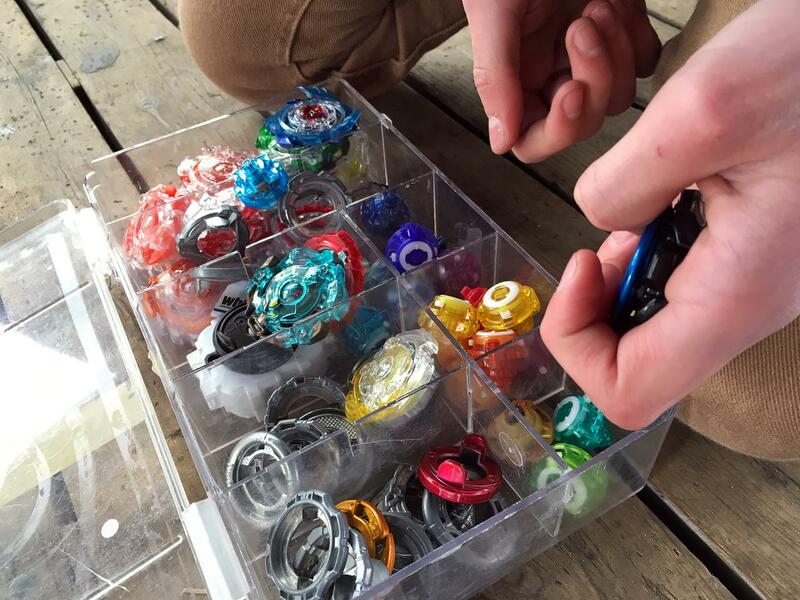 There is no longer any ambiguity regarding whether or not parts borrowed before the Beyblade Selection phase begins need to be announced or not: they do. To allow for an even playing field where both players have a fair chance of knowing what they are up against, it is now mandatory for players to announce to the judge and their opponent if they are receiving advice or parts from someone else during the Beyblade Selection phase of a match. We don’t want to discourage communication between players at our events, but the disadvantage created for Bladers playing someone who they don’t know are receiving advice or parts from someone else is apparent. If your opponent is receiving help, you can’t make an informed Beyblade selection if you’re making that decision based on what you know solely about your opponent, and not based on what you know about the person helping them. We have added in the proper number of launcher rotations for the BeyLauncher LR (7.5) and the Digital Sword launcher (TBD) to the chart in the Organizers’ Guide. Is it allowed to ask to change alter chronos from say, attack to stamina and still leave it in attack mode just to deceive your opponent? Well I have said this for a while and now it’s come into action, personally though, instead of outer it should have been atomic suffering. Garuda is fully justifiable but atomic should be out too. (Oct. 24, 2017 7:31 AM)Chrisnemisis Wrote: Is it allowed to ask to change alter chronos from say, attack to stamina and still leave it in attack mode just to deceive your opponent? When you change modes of a part which requires disassembly, it has to then remain in that mode because you're only allowed to change modes once per match. And there is no deception possible because the opponent will see when you are changing the mode (unless both players are changing at once, in which cases you turn your backs to each other to change modes). (Oct. 24, 2017 9:20 AM)Yblader1 Wrote: Well I have said this for a while and now it’s come into action, personally though, instead of outer it should have been atomic suffering. Garuda is fully justifiable but atomic should be out too. Banning Atomic would be like us banning Revolve last year. I understand some people don't like it, but the issue with the argument for banning Atomic is that while Atomic is heavily used and versatile, it is not difficult to handle defensively. It's a great part, but it isn't necessarily safe and ruining the viability of Attack types like Maximum Garuda was. We have to be careful about needlessly banning things in the main Burst Format. Maybe if we had a "Limited Burst Format" it would be interesting to ban Atomic, but in the main format we always prefer to interfere with the natural progression of the game as much as possible. The biggest thing we had on our minds for this rule was lS haha. We hope it does become more powerful. As for your comments about MFB ... as it states in the opening post a couple times, the mode change rule only applies to Burst Format. 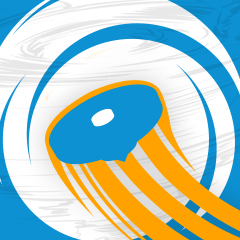 One of the reasons we were open to implementing this rule is due to the simple construction of Burst Beyblades. Because it's so quick to assemble and disassemble them, it won't disrupt the flow of play as much as it might in other formats. 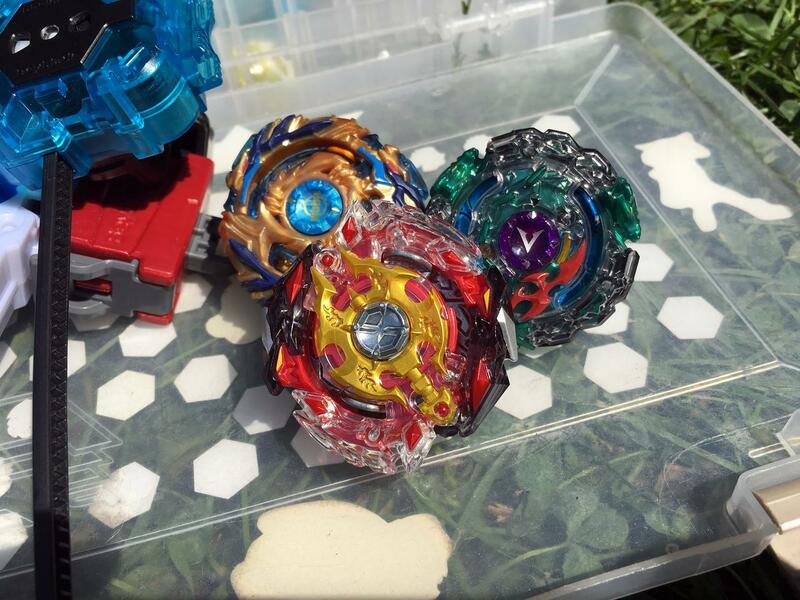 Finally we can change modes for mode changing beyblades. I'm glad mG is in the doghouse where it belongs, and Outer's ban makes sense. You're banning a part because it's hard to get? Uh, that seems a little harsh to everyone who worked their tails off trying to win Ωrichalcum. I can understand banning a part because it's much too powerful and easily obtainable (like Deathscyther and Dark Deathscyther), but because it's top-tier AND hard to get? That makes about as much sense as KONAMI banning Blue-Eyes White Dragon from official play. I personally think you should rethink that ban, because if you're concerned about being fair, think about the players who have a rare and powerful part and won't even get a chance to use it just because it's too rare and powerful. (Oct. 24, 2017 7:38 PM)strato-abyss19 Wrote: You're banning a part because it's hard to get? Uh, that seems a little harsh to everyone who worked their tails off trying to win Ωrichalcum. I can understand banning a part because it's much too powerful and easily obtainable (like Deathscyther and Dark Deathscyther), but because it's top-tier AND hard to get? That makes about as much sense as KONAMI banning Blue-Eyes White Dragon from official play. I personally think you should rethink that ban, because if you're concerned about being fair, think about the players who have a rare and powerful part and won't even get a chance to use it just because it's too rare and powerful. You do have a point, chances are that no one would even use outer rn as it stands since either u won’t obtain it or if u got it u don’t wanna use a rare piece. So banned or not , it won’t make a difference. Other than it being hard to obtain, the only other reason I see is that outer got a pretty circular shape that could affect play. But I wonder if the ban is for that reason or cos it’s hard to obtain cos then in that sense we might as well ban Octo. I'm one of those people who worked their tails off trying to win Ωrichalcum, so I hear you. However, we're banning Ωuter for the time being because it is hard to obtain and extremely powerful. It is the best Stamina Disk in the game now (as proven by the two WBO events dominated with it and the numerous G2/G3 events it dominated in Japan). We've waited in the past before too long to make decisions on this kind of thing (with the most recent one being Maximum Garuda which we probably had enough experience with a month ago to justify banning), and given the undeniably extraordinary circumstances surrounding Ωrichalcum Ωuter Ωcta (there has never been a Beyblade with a extremely powerful part made which is harder to get or more expensive than Ω.Ω.Ω), we decided to take action for the sake of fairness to all players. Over the past year I've witnessed tons of players leaving the game because of the cost involved with importing and staying up to date with the newest releases. The WBO asks a lot of its players at times because of the disadvantage we are placed at in this generation especially where it is absolutely necessarily to import TAKARA-TOMY releases to be competitive in the main Burst Format. You can argue "who cares, that's their problem" if someone doesn't have X part and I would have been more inclined to agree in the past because Hasbro parts were competitive and there was nothing super rare (as in, several hundreds of dollars) that was also super powerful. But by my estimation, the WBO has an obligation to do what it can within reason to also make the game more accessible and fun for everyone. Competition is at the core of what we do, and I think allowing for a more reasonably even playing field by banning a part which costs hundreds of dollars to obtain (or an insane amount of luck as has been demonstrated by people trying over 800 times and not winning Ω.Ω.Ω). Allowing the game to continue where this sort of monetary investment was necessary to compete at the highest level wasn't something we were willing to endorse, so we went ahead with the ban only until Ωuter is more easily obtainable (and it will be eventually if the re-releases given to Amaterios and Baldur are any indication). (Oct. 24, 2017 8:55 PM)Yblader1 Wrote: You do have a point, chances are that no one would even use outer rn as it stands since either u won’t obtain it or if u got it u don’t wanna use a rare piece. So banned or not , it won’t make a difference. Other than it being hard to obtain, the only other reason I see is that outer got a pretty circular shape that could affect play. But I wonder if the ban is for that reason or cos it’s hard to obtain cos then in that sense we might as well ban Octo. It makes a difference in the sense that the few people who do have it won't be able to unfairly dominate tournaments by using it. We didn't ban Ωcta because while competitive, it isn't the undisputed best part for its type like Ωuter is. hey i just wanna ask why outer is so powerful some can tell me? (Oct. 25, 2017 12:07 AM)ayggdrasilgy Wrote: hey i just wanna ask why outer is so powerful some can tell me? It has high owd and is circular for lad. It dominates in stamina combos. I don't think anyone thought of this before, but maximum garuda outer atomic would be pretty unbeatable. I agree with you. But this way basicly only richest or luckiet player will have an unfair advantage. WBO events need to be fair and equal for all and this way real skilled player will have fair chance to win as well as it will be possible for bladers of all age to win. (Oct. 25, 2017 2:46 AM)dt1000 Wrote: I don't think anyone thought of this before, but maximum garuda outer atomic would be pretty unbeatable. No offense but thats very obvious lol. It's not just that the part is rare, it's that it's rare and disgustingly powerful. It outclasses basically all other parts in Stamina as far as we've seen, and it's valued at HUNDREDS (yes, with an 's') of dollars USD. Yeah, some people have they beypoints/money to spend on such a powerful part, but nobody wants to go to a tournament where one lone entrant basically says "I win because I payed a lot of money"